The 1484cc ZIPPER CYLINDER HIGH TORQUE KIT will give your Rotax 912ul, 105HP. You can upgrade from a 100HP Rotax or an 80HP Rotax (912 UL or 912 ULS). This kit does NOT need a Heavy Duty Case, Slipper Clutch, Heavy Duty Starter or Soft Start. USES REGULAR Auto Fuel. 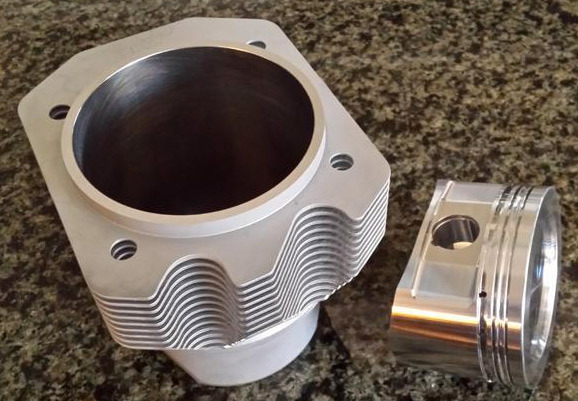 LN Engineering Nikasil Plated 88MM HT 9.7:1 Compression CNC DIAMOND HONED Cylinders.